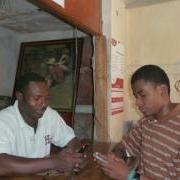 The uptake and success of mobile money in Haiti will be affected by user experience at mobile money agents. While users should have similar experiences wherever they choose to use mobile money, we have found that their experiences vary depending upon what kind of agent they use. The centrality of the agent to the success of mobile money means that we cannot take the word “agent” for granted. Who is the mobile money agent? 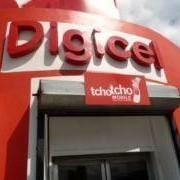 In Haiti, businesses providing a mobile money service have a sign on the front of their shop identifying them as an “Agent Authorisé” (authorized agent). The business has gone through the training provided by the mobile money operator and is able to carry out the different transactions involved. However not all agents are created equal. Our research has found several types of agents. In the ideal model, the small business owner is always the one who carries out the mobile money transactions. Not only is the owner always present at their place of business, but the commission represents an incentive for the business owner to promote the service. This is the case of Andy, the owner of a cyber café. He is the most successful among the agents that we have interviewed. Because he stands to gain from registering new clients, Andy says that he tries to turn as many of his regular clients into mobile money users as he can. Unlike Andy who is the owner and representative, there are agents that are placed into stores by another company, which has multiple outlets and places its agents in different businesses. While these employees have an incentive to promote mobile money because their employment status depends on the continuing success of mobile money, the fact that they are not fully integrated in the businesses where they are placed means lack of consistency in the provision of service. Cases when these agents are absent and those in the store cannot tell the client when they will come back means that one cannot always expect service at some locations even when they are the closest to one’s house or place of business. 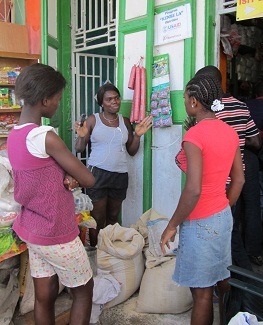 Some mobile money agents are additions to already existing money transfer businesses. Voila’s T-Cash outlets are currently located in UniTransfer offices. 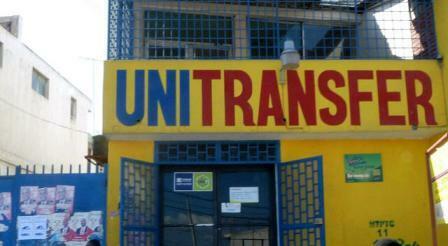 The placement of the mobile money at the UniTransfer office is not without problems. Because there is only one line for money transfers and mobile money, T-Cash customers face the same amount of time waiting in line that existed prior to mobile money. Furthermore, mobile banking customers are more likely to be robbed using transfer houses than other kinds of businesses that are not associated with withdrawing cash. 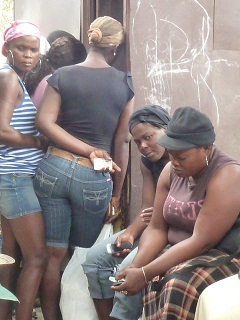 Long lines and the potential security risk associated with walking out of a mobile money outlet will discourage customers. The most common, yet problematic, “agent” scenario is the one where the business owner decides to sign up for mobile money and designate just one of their existing employees as the mobile money agent. For these employees, serving as the mobile money “agents” is an addition to their schedule of duty and is not necessarily accompanied by an increase in salary. 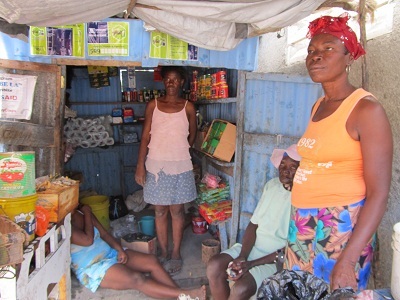 Not only do these employees lack the incentives of business owners but the fact that providing mobile money services is one of the many things they have to do means that they may not have enough time to provide all the information a client may need. Benjamin, a computer programmer at a cyber café represents one of those “agents” whose work load was increased by the addition of mobile money service at his outlet. On the one hand, he is one of the most enthusiastic agents we have met because he is a true believer in the product and its promise. 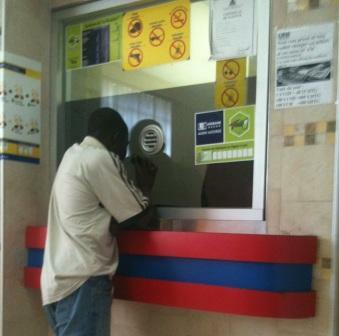 However, he is also a bit discouraged because as he said: “I am working for the mobile money operator but I do not feel that I am benefiting from them.” According to Benjamin, the agents are not the only ones who suffer. Clients do not receive the kind of attention they deserve, especially for a service that is so new and that involves their money. He explains, “When someone comes and are about to give them their money you have to spend all the time they need and answer all of their questions in order for them to trust you with their money.” Given that the target of mobile money are unbanked people for whom every penny counts, their ability to trust their agents is crucial to their adoption of mobile money. If clients cannot count on their agents being there or the agent has to rush off to serve other customers potential mobile money clients will think twice before adopting mobile money. 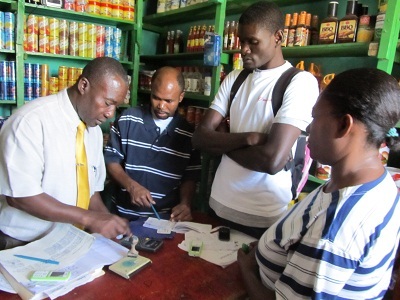 As mobile money providers are looking to expand their agent networks in Haiti, they need to be aware of the fact that while the businesses owners have an incentive to become mobile money agents because of the commission and the added traffic that mobile money brings, the way they set up service provision will affect customer experience and return business.